These possess a symmetry based on five, which is extremely rare in nature, as most animals have a binary symmetry, meaning that, if they are cut down the middle, two identical parts can be observed. This is not possible with echinoderms, because they have to be cut into five sections to obtain identical pieces. 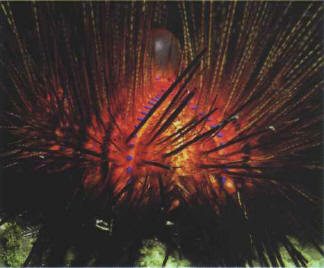 Echinoderm means spiny skin: this is highly appropriate in the case of sea urchins, less so in relation to the rough starfish. Generally speaking, echinoderms will not survive for long outside water. They are found only in sea water. ЭТИЛЕНДИАМИН H2NCH2CH2NH2 , бесцветная жидкость с запахом аммиака, tкип 117 °С. Применяется в производстве фунгицидов, гербицидов и этилендиаминтетрауксусной кислоты, которую используют в аналитической химии (см. Комплексоны), а также для смягчения воды, очистки нефти и др.